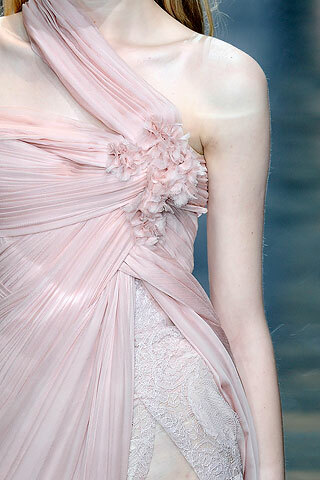 Divine details from Elie Saab Spring 2010 Couture Collection. And lovely links to tide you over 'til next week . . .
A stunning wedding by international star Brancoprata. Don't let life just flutter you by. It's all about the collaboration! gorgeous!! love your links too! Wow. Stunningly beautiful. I love the blue dress. 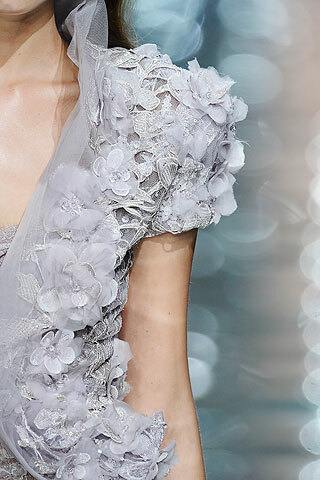 Flowers and sparkle how can a girl go wrong with a wedding dress with these special touches. And thank you for the link love :)))) have a great weekend. 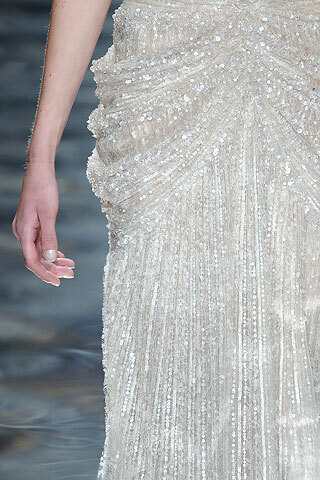 I love Elie Saab! Stunning dresses!